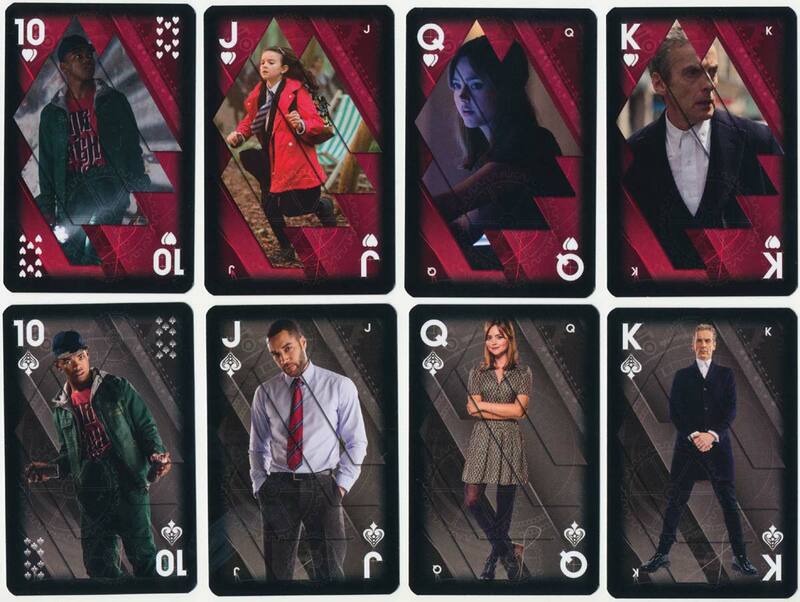 Doctor Who fan cards produced by Winning Moves under the Waddington's label. 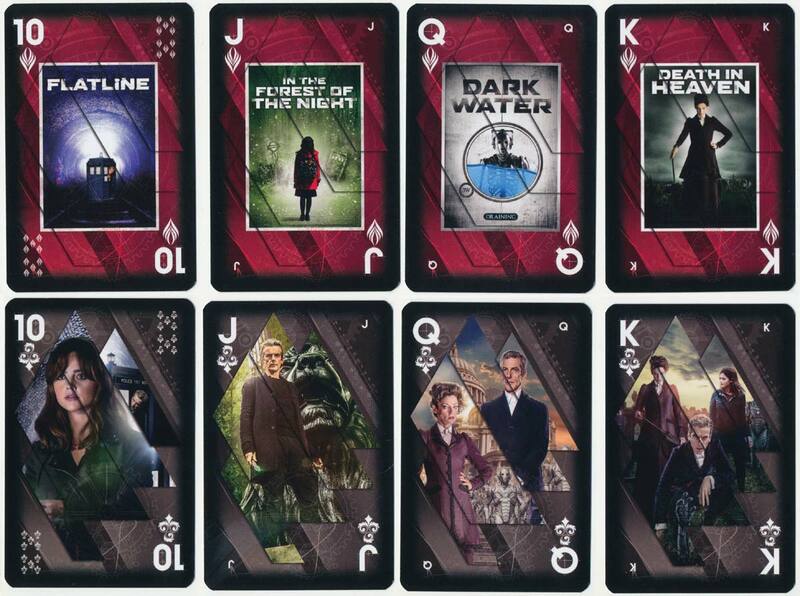 Each card is different (except the two jokers) and features characters or references from the 2015 period of the television series. 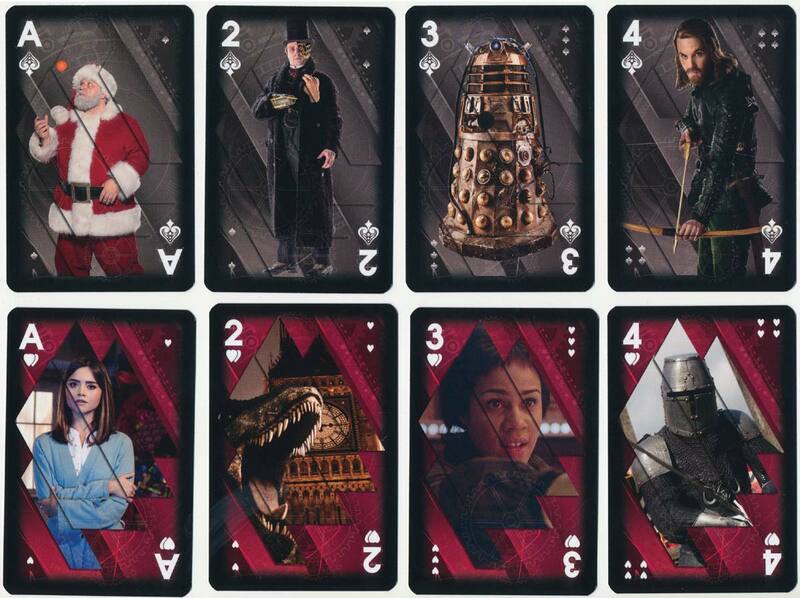 Above: collectible BBC Doctor Who fan cards produced and distributed by Winning Moves UK Ltd, London, under the Waddington's label, 2015. 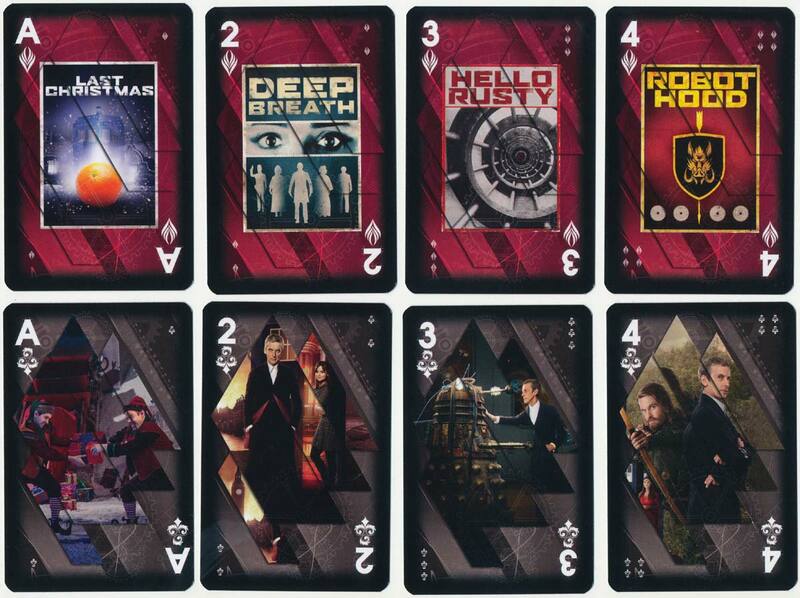 Cards made in Poland. Images courtesy Matt Probert.